The University creates and advances knowledge and understanding, and improves the quality of life through the discovery, dissemination, and application of research within and across disciplines. UBC is responsible for a quarter of all research conducted in British Columbia. Our strengths—including our interdisciplinary approach, commercialization record, and distributed medical program—point the way forward. Our challenge lies in asking ourselves again: How may we best think what nobody else has thought? Emerging areas of research excellence at UBC reflect some of the world’s most insistent themes in science, technology, social sciences, and the humanities. Finding answers to questions in these and all fields lies in improving the conditions for discovery: Increased knowledge exchange. Partnerships both local and global. A resilient infrastructure grounded in freedom and responsibility. 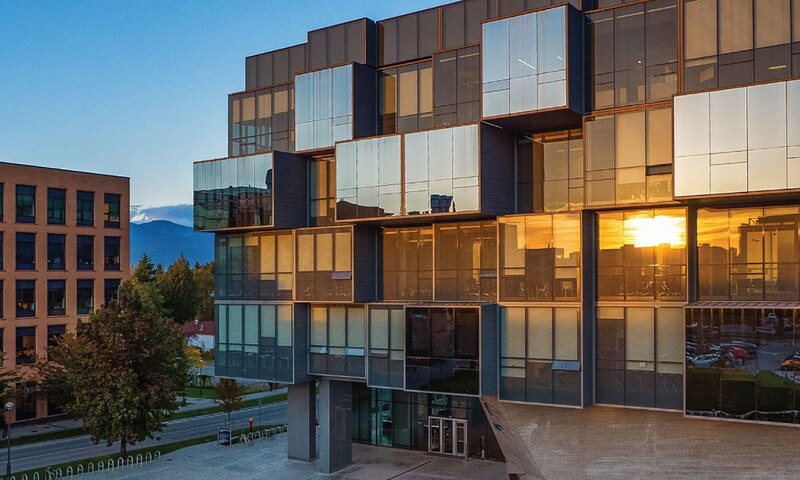 UBC’s research excellence is a key economic driver, a draw for the world’s greatest minds, and an impetus for societal transformation—all that the University’s founders foresaw. We must now think what even they did not, and become more. UBC has successfully recruited Dr. Philip Barker into the new role of Associate Vice-Principal Research & International at UBC Okanagan Campus. The NeuroDevNet NCE has been renewed for $19.6 Million, extending the national network’s term to 2019. The VPRI Office successfully launched a research metrics data tool that provides senior administration with comprehensive analysis of UBC’s research activity and impact. Professor Thomas Lemieux, Director of the Vancouver School of Economics, was awarded the prestigious SSHRC Insight Award. Rashid Sumaila was awarded over $2.5 Million to lead the OceanCanada SSHRC Partnership Grant. In the most recent Thompson Reuters’ Highly Cited Report 18 UBC researchers ranked in the top 1% by citations for their field and year of publication. The Indirect Costs of Research (ICR) was effectively restructured, changing the distribution of ICR funding to UBC Faculties, Research Centres and Institutes. The new University Veterinarian was successfully recruited in 2014, along with the addition of new support services provided by UBC’s veterinarian team. UBC successfully submitted its initial application to the Canada First Research Excellence Fund Stage 1 competition in March 2015. Developed and prioritized research partnerships with local community organizations that address key emerging issues in the Okanagan. Emerging partnerships include Wine Forum, Healthy Cities Initiative, and interdisciplinary graduate program. In partnership with the CDRD at UBC, Accel-Rx Health Sciences Accelerator was announced as a Centre of Excellence in Commercialization and Research in 2014. Successful implementation of SciVal, as a tool for rapid access to bibliometric data at UBC. The University-Industry Liaison Office has been involved in the creation of 8 new start-up companies, well over the previous 10 year average of 5 start-ups per year. Those new companies are; Algolux, Cyon Therapeutics, CurvaFix, Sonomotion, CTOME Software and Consulting, Microdermics, Nanozen Industries Inc., and Metamixus Biologics Inc.
UBC licensed technology has resulted in the launch of 7 new products in the marketplace this year; Elix Wireless Charging – E700 Wireless Charging System, Teco Imaging Systems – FlipPal and Doxie Flip (imaging scanners/rendering), Arctron3D GmbH – 3D Archeological Site Scanner, LionsGate Technologies – Kenek Edge Pulse Oximeter, Take-Two Interactive Software – NBA2K15 (video game), OM Audio LLC – OM/ONE (levitating speaker system), and Verisante Technology Inc. – Aura (skin cancer detection). UBC researcher’s licensing activity is up, with our current year to date of 28 licenses and counting ahead of our total of 23 licenses last year.